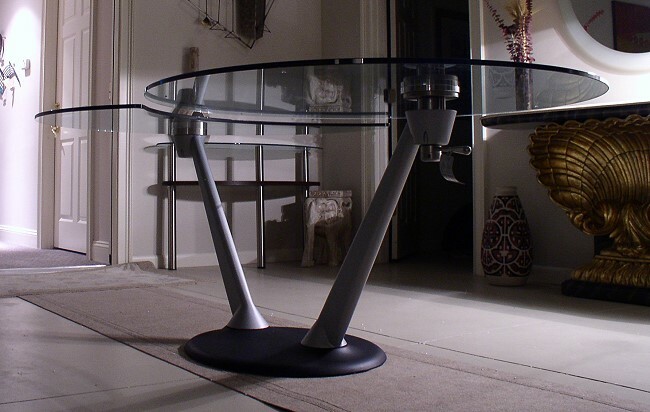 Hula-Op Dining table is the most extraordinary piece to evolve from Italy. 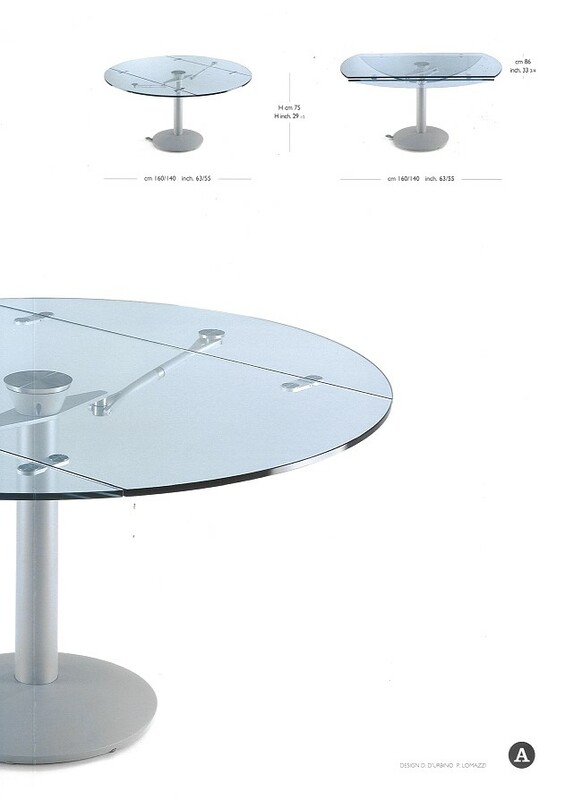 $ 4,995 - Hula-Op Dining table. The glass tops move together. If you turn one top the other top turns in perfect coordination. 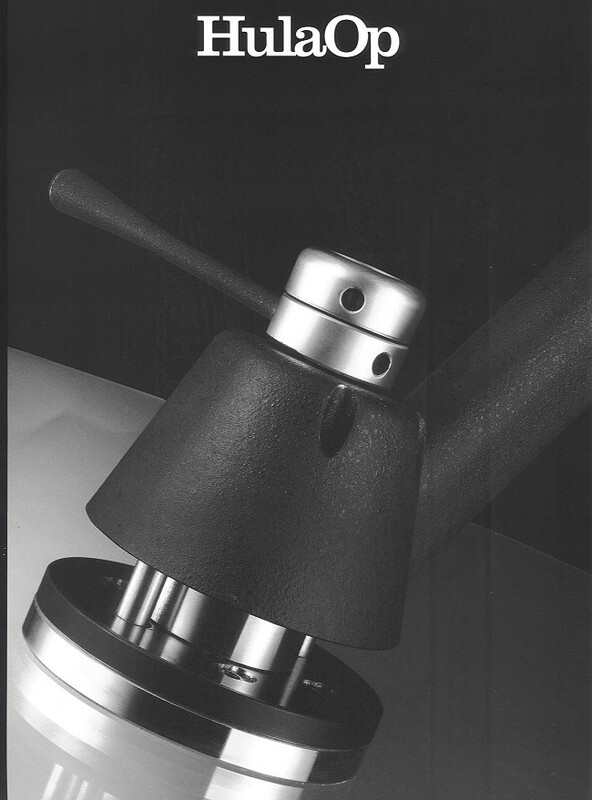 It is the perfection of Italian craftsmanship and attention to detail that makes Hula-Op so special. 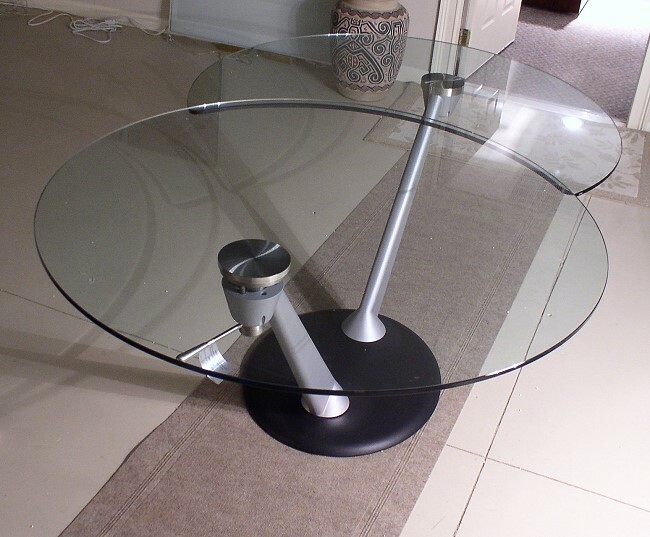 The Hula-Op table base is very heavy. The weight of the table base makes the whole thing work. Expands from 47 1/4" to 75". Model shown with silver legs and black base. 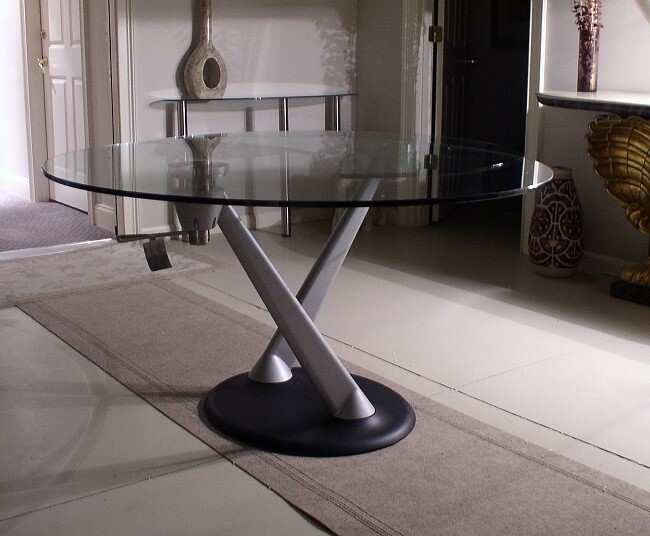 Atlante Dining table available in two sizes: Closed 63" x 34"; Opened 63" dia. Height 30"
Closed 55" x 34"; Opened 55" dia. Height 30"